Sunglasses are a beautiful, fun, and useful accessory that is absolutely necessary on a summer’s day. 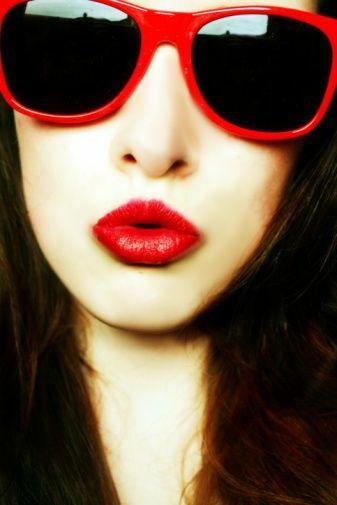 Sunglasses can easily make you look more fashionable and make your outfit look completely different. When you find a pair of sunglasses, you take them everywhere with you. The problem is finding a pair of sunglasses. Not all sunglasses look good on everyone. Given the wide variety of sunglasses out there, how can you know which one is right for you? Is it hair? Skin color? Your Outfit? No. The answer lies in the shape of your face. Oval is the easiest shape to start with. People with oval faces are pretty lucky because they can look good in most sunglasses. The trick is simply finding a pair that balances your face. You want something that has a flatter top to the frames. Not too flat, just don’t get any crazy super round glasses like Elton John’s. You want to balance the vertical orientation of your face with something central and horizontal. Some of the many types of frames that oval faces can wear are square, wrap around, shield, rectangle, oval, rounded, butterfly and cat eyed.Prada has some of the most gorgeous shield glasses out there. Heart shaped faces have high wide foreheads with angular defined cheekbones, a sloping jaw and a narrow pointed chin. You want to choose sunglasses that pull attention downward. This will accentuate your features. Cat eyed glasses, aviators, and butterfly glasses are great choices for this build. Ray Ban is best known for their aviators. Square faces have both wide foreheads and wide jaws. Because four face has sharper angles you want to choose curvier glasses to offset this. Round, aviator, oval, butterfly, and cat eyed frames will work for this face type. Urban Outfitter’s is a good place to find cat eyed frames. Round faces are the exact opposite of square faces. Round faces are soft and do not have many angles. Therefore your glasses should! You can wear rectangle, square, wayfarer or shield frames. Wayfarer sunglasses are in right now and can be found at inexpensive stores like Forever 21. Previous Article← Why Professional Travel Uniforms Will Never Go Out Of Style?